A Georgia woman was arrested for allegedly impersonating a federal agent in an ultimately futile attempt to get a discount at Chick-fil-A. Police said Tara Marie Solem first tried to convince a drive-through worker that she was a federal agent and so deserved a cut-price lunch. When that didn’t work, she went inside the chicken joint and flashed a silver badge at two managers. Told she needed to be in uniform to get the saving, Solem said that would “blow her cover and possibly get her killed.” When Solem refused to back down, workers called police, who took her away in cuffs. A man who set off a smoke bomb in the crawl space of his Michigan home to evict a gang of skunks succeeded in his plan—but burned down his house in the process. Firefighters said the smoke bomb sparked a blaze that ripped through the property within minutes, destroying nearly all the man’s possessions. 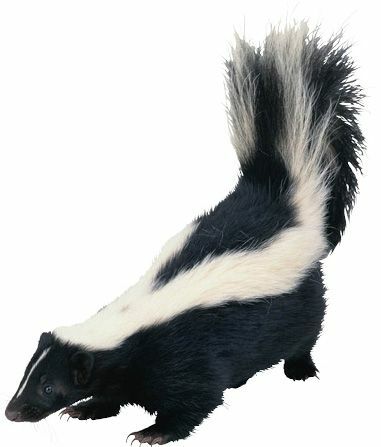 Fire Chief Kevin Sullivan advised people with skunk problems to hire pest control professionals, but if someone is “an absolute die-hard do-it-yourselfer,” he or she should at least read the smoke bomb’s instructions. No one was seriously hurt in the fire, and no skunk carcasses were found at the scene.